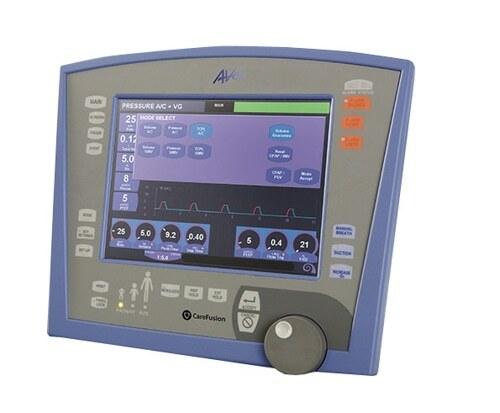 The Viasys Avea is an easy to use ventilator with a large bright color screen with the added feature of a touchscreen. Healthcare facilities use this ventilator to provide breathing gas to patients. There are many optional accessories and functions that may be available.